The company's activities are managed from the port Norðhavn in Klaksvík. 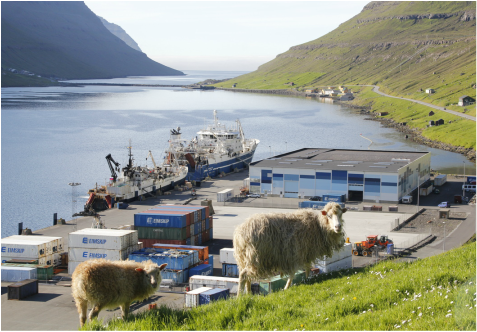 Together with Faroe Ship, the company owns a cold room with a capacity of 5,000 tonnes. The quayside in front of the cold room is 300 m long and 12 m deep. The majority of the company's production is transhipped on the quay or through the cold room in Norðhavn. In addition to providing transhipment services to Christian í Grótinum, Eimskip's aim is to tranship as much as possible through the cold room in Norðhavn.